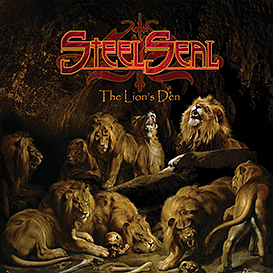 Power and melody, harmony and aggressiveness melted in one white-hot steel casting in the new STEEL SEAL album. An exciting combination of granite Hard Rock and Neoclassical Power Metal that needs no “redemption” or “forgiveness” for its original sin of being a melodic metal milestone! The great voice of Fabio Lione sings meaningful and intense lyrics in perfect harmony with a music that will put a Metal spell on you.